All businesses strive for growth. It’s what keeps shareholders happy and staff gainfully employed. To improve productivity, companies also endeavor to automate processes. In addition, as technologies advance and data storage costs decline, organisations collect more data and put it to more uses. Consequently, you have to upgrade your systems, and it definitely won’t be the last time you do. The question is, how can you migrate from your old, overburdened server to a new, more powerful one without stopping operations? 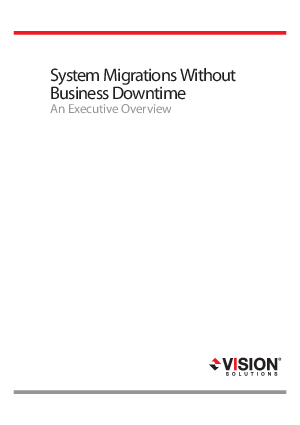 This paper explores the solutions available to ensure that your business can continue to operate at a high level even when system changes are taking place.